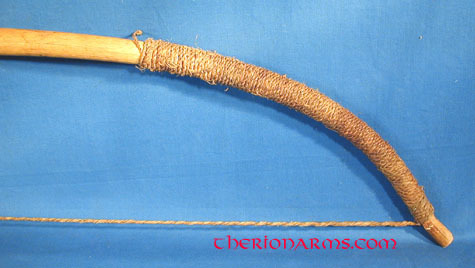 Hunting and war bow from the Angoni Zulu, a migratory tribe. Collected in Mizimba, Malawi, in the time of Chief Jere. Set includes sharp iron-tipped arrow, and one wooden-head bird blunt arrow. 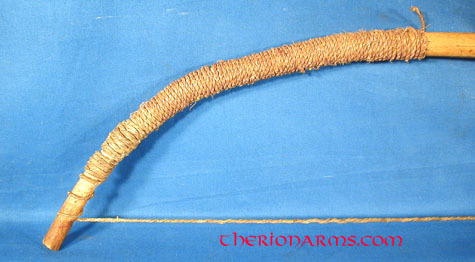 bow (nock to nock): 55"
belly to string (center): 7 1/2"